A dragon is cute. It farts fire and cats and rainbows. A cat is dangerous. It breathes burning ninjas and purple velociraptors. Dinos are funny because they fart prehistoric double rainbows. Whales are enormous, but sadly they don’t fart. :( But they puke green gorillas and blue cavemen! NHL star in the making? Watch Kyran (6 y/o, #15, blue helmet). That’s my boy! 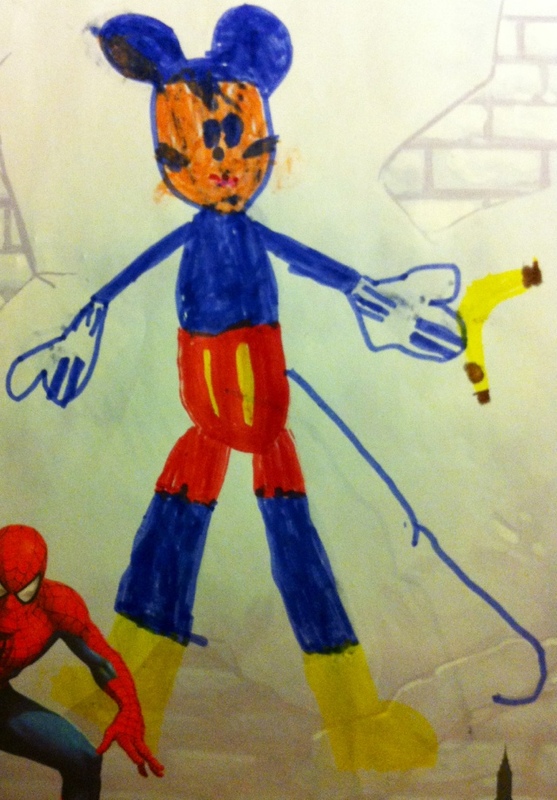 This picture of Mickey Mouse by my just-turned-6 year old son is pretty cute in and of itself. Then I realized he drew on the other side too. 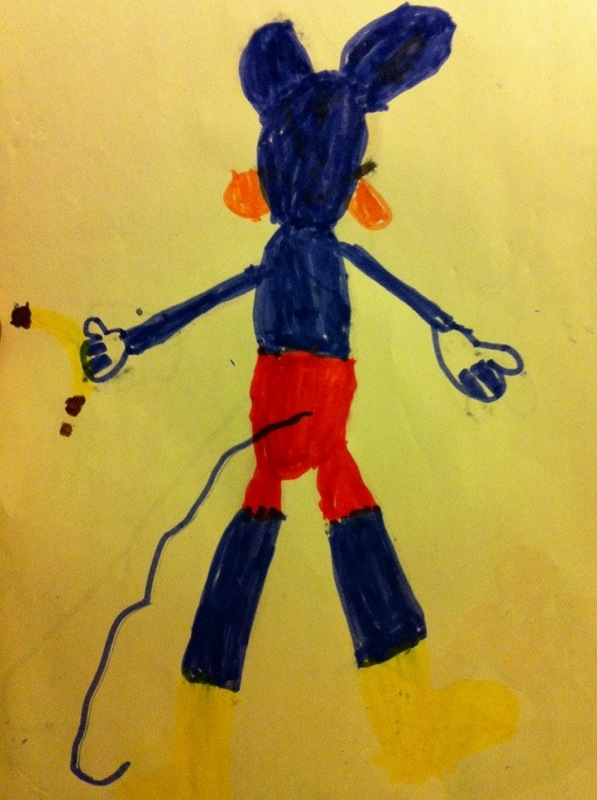 Same Mickey (and accessories), viewed from the back.